We pay attention to every last detail when it comes to crafting these beautiful Marine Corps applique flags, and all of our military applique flags. 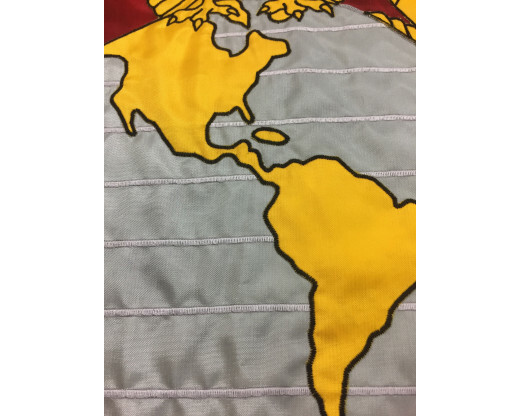 With layered designs cut and stitched in durable Nylon fabric, these flags have a substantial look and feel that truly makes a statement. 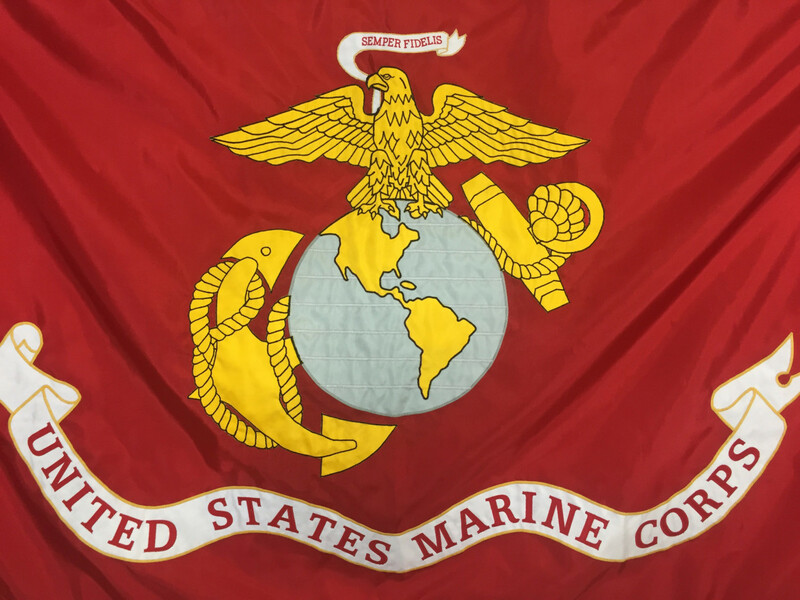 Our team takes pride in hand crafting each of these flags right here in the USA. 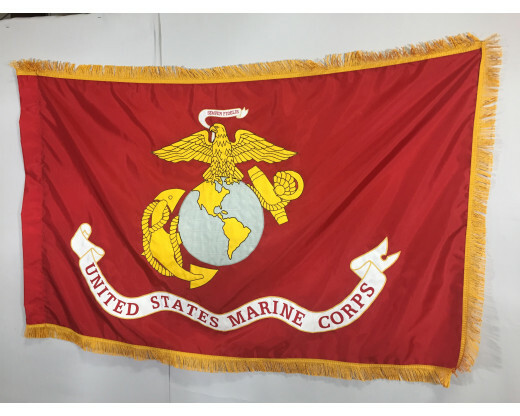 At Gettysburg Flag Works, we craft our military applique flags with the utmost care and attention. Our Marine Corps applique flag features designs and lettering cut from nylon and hand stitched into place by our talented seamstresses. 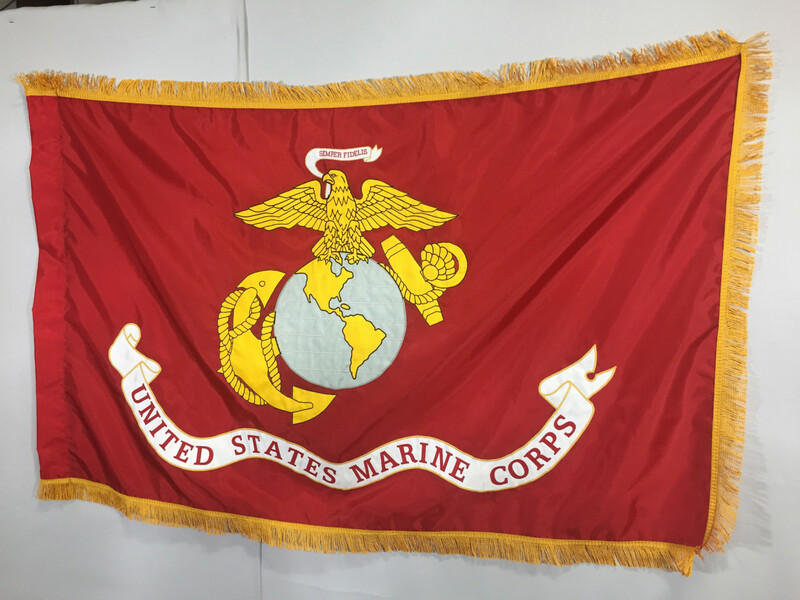 They also feature pole hem and fringe, making our Marine applique flags perfect for use at formal indoor ceremonies and events. 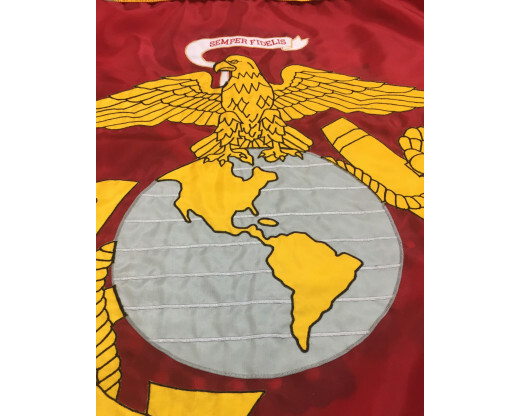 Shopping for Additional Military Applique Flags? 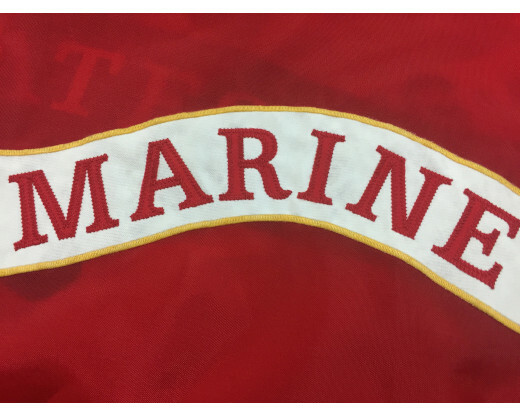 In addition to our Marine Corps applique flag, we also carry Army, Navy, Air Force and Coast Guard applique flags. 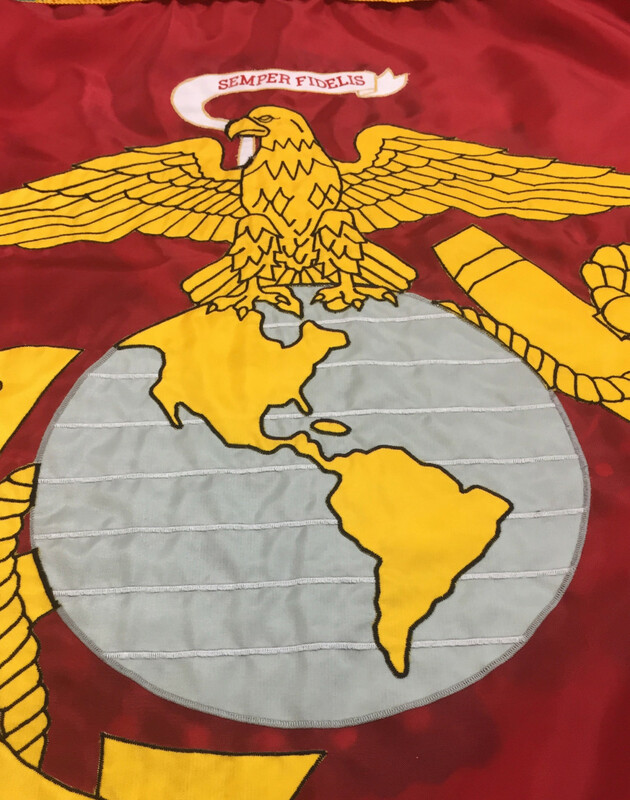 Want to truly customize your military applique flag? 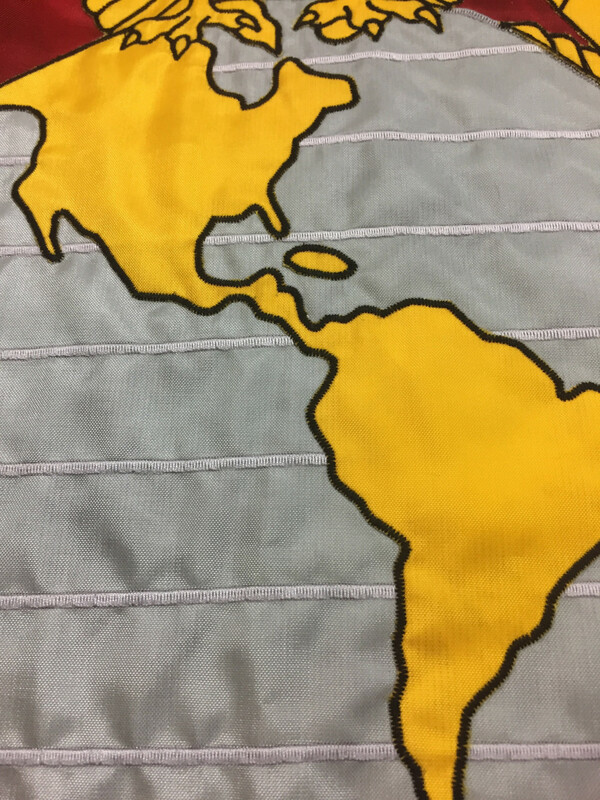 Check out our Custom Applique Flag Portfolio for ideas and inspiration, then order your customized applique flag today! Have questions? Give us a call at 1-888-697-3524 or contact us online and a Gettysburg Flag Works team member would be happy to assist you!